Do you have a family heirloom that someone used to fish with that needs repair? How about a favorite rod that has a broken guide? 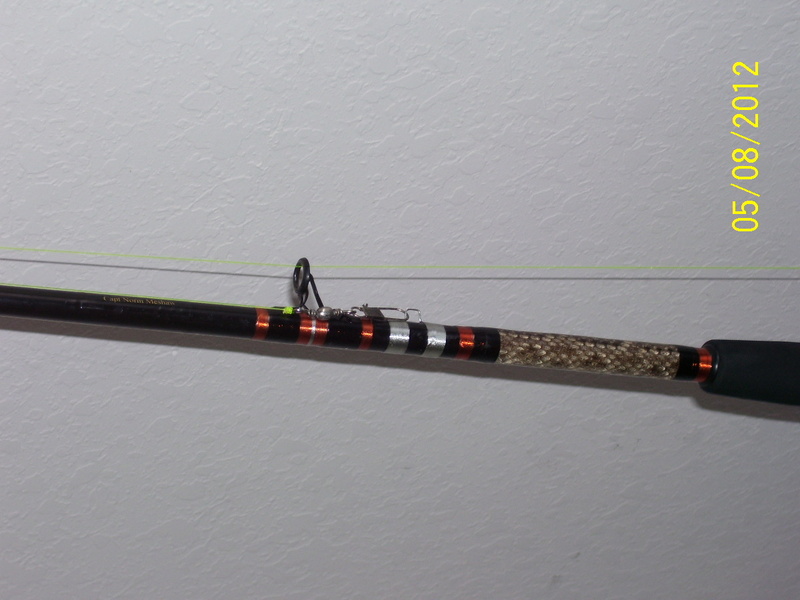 Want a specially made rod or have a custom rod designed? Whether it is a broken guide, old cracked finish on the guide wraps or on the blank, we can help you. Even if the rod is broken we may be able to fix it. As a charter boat captain I know the importance of good tackle. I also know the significance of fixing and restoring Dad's old rod. Give us a call us at 609-707-2443 and we'll be happy to discuss designing or repairing your rod.